Children are not just mini adults. Their anatomy, health reserve, disease presentation, development and psychosocial needs differ across the age groups of newborns, neonates, infants, toddlers, young and older children and those in their teenage years. The investigations frequently need to be more comprehensive, with the full armamentarium available, to tailor for newborns to children across all ages, and with different temperaments and stages of development. Extra time at the visit is needed. The concerns of and support from their family and caregivers are equally important. Coordinating care across multidisciplinary medical, educational and developmental bodies is also critical for best outcomes. 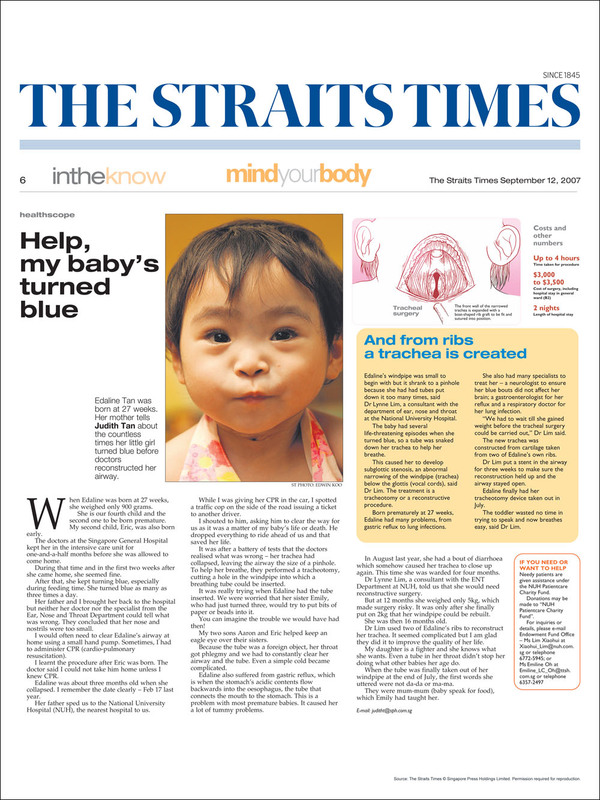 This is possible with support from Dr Lynne Lim, an established Child Ear Nose Throat ENT specialist in Singapore with a strong network of equally established multi-disciplinary specialist colleagues. 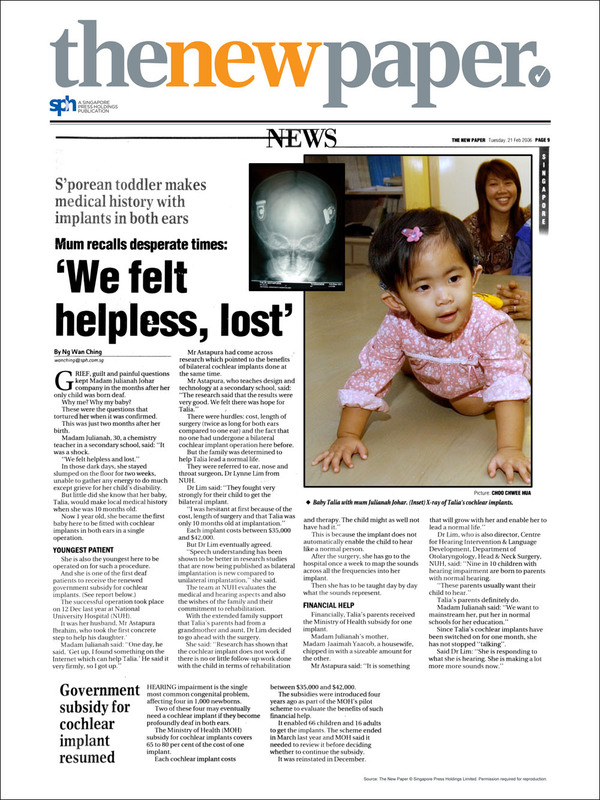 Her ENT specialist centre staff are experienced in caring for children. After completing general ENT specialization in 2001, Dr Lynne Lim sub-specialized in Paediatric ENT at the renowned Cincinnati Children Hospital & Medical Centre, America, from 2001-2004, under the mentorship of the giant of Paediatric ENT, Dr Robin Cotton. The CCHMC ENT is an American Otolaryngology Board accredited world leader in Paediatric care, with strong subgroups of paediatric airway/ pulmonary/ swallowing; hearing/ speech and communication; snoring and syndromes; sinus and allergy; head and neck tumor management, research and education. It has a proud tradition of training many of the alumni leaders in paediatric ENT worldwide. Newborn – hearing loss – Can occur due to congenital infections (e.g. Rubella, CytoMegaloVirus, Toxoplasmosis, Herpes, Syphilis) or genetic causes with or without syndromes. Associated with some toxic drugs, ICU stay, hypoxaemia episodes, severe jaundice. Can result in cochlear, middle or outer ear hearing loss. Genetic hearing loss – There are over 200 types of genetic hearing loss. Only 10% of those affected are born to parents with hearing loss, as 75% of deafness is due to an autosomal recessive genetic inheritance. Only 25% of these patients are syndromic with other body systems also affected. Lumps and sinuses around/ on the external ear – These may be simple sebaceous cysts, keloids, pseudocysts, preauricular sinuses or more rarely, first branchial cysts/ sinuses. First branchial conditions needing surgery can put facial nerve and ear structures at risk and must be approached carefully. Ear wax and foreign bodies – These can cause discomfort, infection and if severely impacted, reduce hearing. Acute otitis media – This can be sudden onset, with pain and fever, pus in the middle ear and possible rupture of the ear drum. In young children, can cause brain abscess if treatment is delayed. Chronic Otitis media – Also known as Otitis Media With Effusion/ Glue Ear, this can be recurrent or chronic, with fluid in the middle ear, and associated with infections or Eustachian tube dysfunction. Very easily missed by even doctors, due to ear wax and as changes in appearance of the ear drum may be subtle. May require hearing tests to confirm. Can result in significant and prolonged hearing loss, with speech and language delay. Eustachian tube dysfunction – This can be due to a more horizontal and shorter Eustachian tube of the child, bottle feeding lying down, craniofacial anomalies, tone, flu, cold, allergic rhinitis or sinus infections, cleft palate and adenoid enlargement. It leads to fluid trapped in the middle ear, resulting in blocked ear, hearing loss, poor balance, ringing ears. Perforated ear drum – This can result from traumatic injury to the ear drum or chronic untreated middle ear and mastoid infections. Occasionally, perforations result from repeated or long term grommet tubes. Middle ear bones pathology – Malformed, dislocated, fractured, eroded or fixed. This can be congenital, traumatic, or due to a chronic infection or tumor. Cholesteatoma – A middle ear tumour that is not cancerous, but causes hearing loss by eroding the middle ear bones. May erode into brain, face nerve and ear balance organs. In congenital cases, unlikethat for adults, it is easily mistaken as fluid in the middle ear, as there is no perforation of the ear drum and no ear discharge. Mastoid infection – Chronic infection of the mastoid air cells and bony septations due to bacteria, fungus or unusual diseases like Tuberculosis.Risk of brain of neck abscess if untreated. 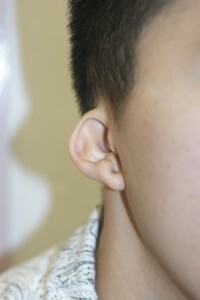 Microtia auricle (malformed outer ear) and atresia ear canal (absent or narrowed ear canal). 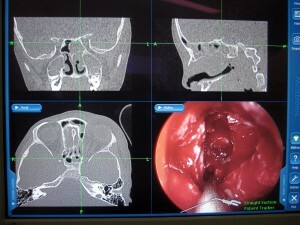 A complex reconstruction challenge, with psychological, facial nerve, middle ear bones, hearing and cosmesis concerns. May be associated with craniofacial disproportions or syndromes. Multiple combinations of management options need to be tailored to each patient’s anatomy and wishes. 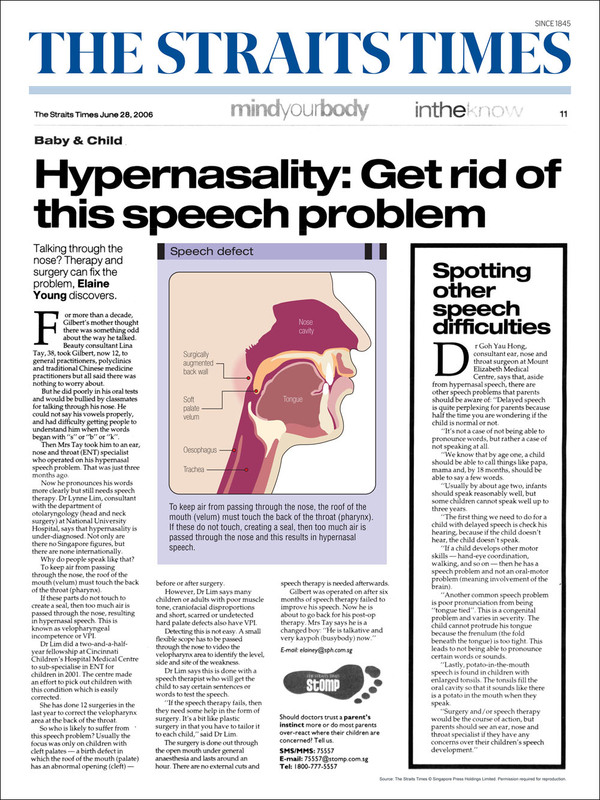 Auditory neuropathy – Diagnosis is easily missed. Child may pass usual awake simple hearing test or have only mild hearing loss. They will require special electrophysiological hearing tests like Auditory Brainstem Response test conducted by an alert audiologist working in consult with the ENT. 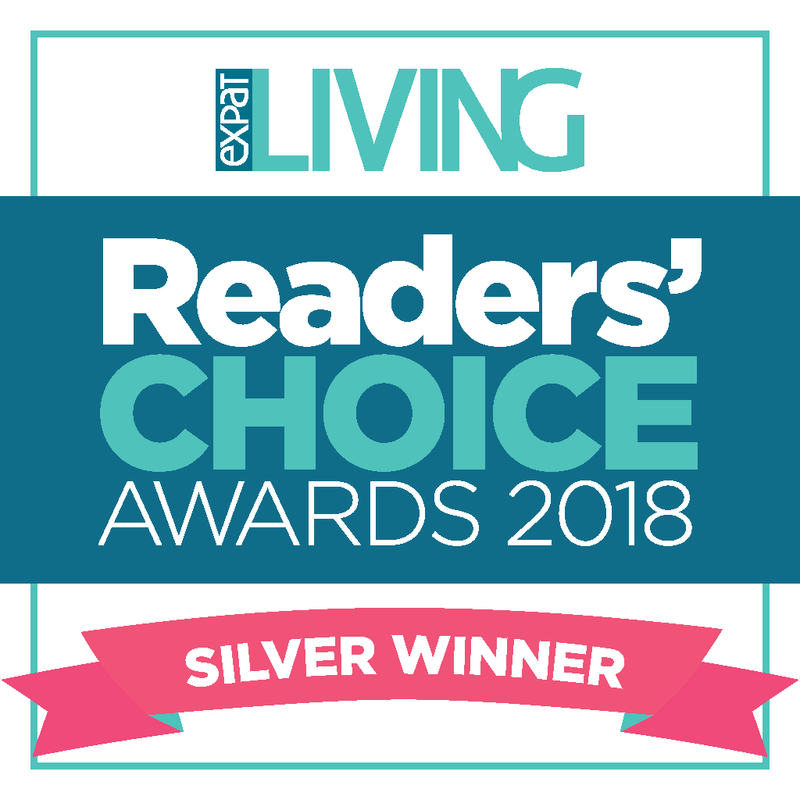 A hearing aid alone may not help, and resulting speech, language and academic delays are common, with usual speech therapy treatment ineffective. 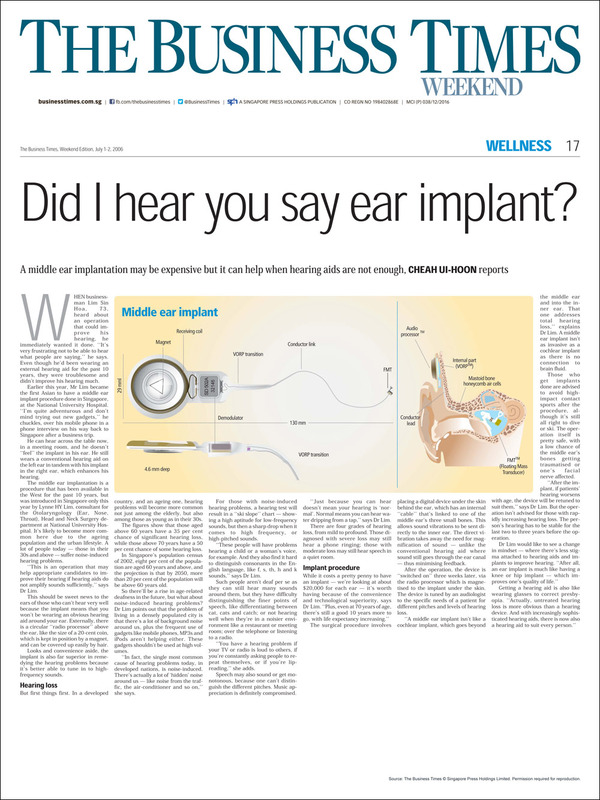 Some will require cochlear implant surgery. Acoustic Neuroma – Tumor of the hearing nerve impairs hearing, and may cause facial nerve palsy, giddiness and increased intracranial pressure with growth. Rare in kids except those with Neurofibromatosis Type II. 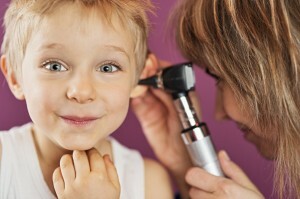 Hearing loss is often missed, especially in children. Even moderate 50% hearing loss may be missed, and the speech problems attributed wrongly to the child’s young age. As the brain is most plastic before 4 years old, and can still improve a lot till 12 years of age, it is critical to diagnose a hearing loss early. A hearing test is a must before diagnosing autism, attention deficit disorder, academic and speech delay conditions. 4 in a 1000 are born with hearing loss. In ill babies, severe jaundice, infections and trauma increases chances 4 to 10 x. Inadequate or lack of proper testing can result in speech and language delays, behavioural problems and misdiagnosis of low IQ for years if hearing loss is missed. Even mild bilateral hearing loss in children that is chronic can negatively impact learning and hearing with longer-term auditory processing and learning consequences, affecting eventual maximizing of potential and social and job options. Many teenagers and young adults underestimate their noise exposure and the risk of noise-induced hearing loss. Have you had ringing ears after a cinema or clubbing event? That may mean there is irreversible hearing loss that often starts at high frequencies. Listening to your music via headphones at maximum risks hearing loss in less than 15 minutes. The hearing tests and complete range of services are available in-house in sound-proof and sound-treated rooms, allowing the children’s ENT doctor to interpret the tests together with the audiologist to offer a treatment plan on an immediate basis. Closer collaboration also allows for increased safety of investigations requiring sedation, and optimizes outcomes. 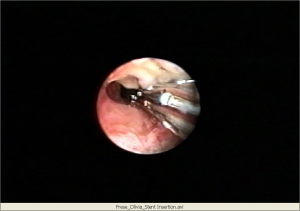 Otoscopy and light microscopy – Otoscopy offers clear views of the ear canal and ear drum. 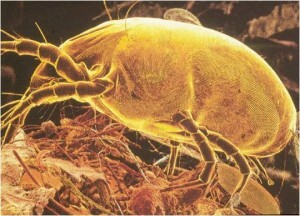 Light microscopy magnifies these images many times, with increased clarity for diagnosis. Newborn hearing screening and diagnosis – Diagnosis of hearing loss is missed in over 50% of newborns without proper screening. An Otoacoustic Emission (OAE) test without Auditory Brainstem Response (ABR) may miss 20% of hearing loss. In-clinic complete testing with OAE, ABR, Tympanometry and Auditory Steady State Response (ASSR) is available. Young babies can often be in natural sleep for the 1 to 2 hour test..
Children hearing tests – tests – Gold standard age-appropriate hearing diagnostic tests in appropriately sized sound-proof rooms by pediatric audiology professionals allow for accurate results in challenging child testing situations. Behavioral Observation Audiometry, Visual Response Audiometry, Play Audiometry, Pure Tone Audiometry and Tympanometry are all available. Children are less cooperative, with shorter attention spans, and need to feel comfortable and engaged. Tests for children of different ages will be tailored accordingly. Tympanometry – this test shows the middle ear pressure and volume, and is a reflection of the state of the ear drum and middle ear. 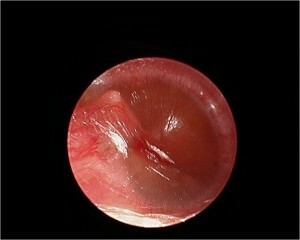 It is often flat in patients with fluid or pus in the middle ear. Central auditory processing disorder tests – these are speech lists tests for children over 7 years of age or adults with normal hearing, usually requiring 2 sessions of 1-1.5 hours each under different conditions – e.g. in a noisy background or with competing sound information to both ears. Radiology: CT scan temporal bone, MRI brain and Internal Acoustic Meatus are required to determine the anatomy of bony and soft tissue structures of the outer, middle and inner ear, cochlear, vestibular aqueduct, hearing and facial nerves and the brain. This also excludes infections and tumors. Pediatric anesthetists will give a short intravenous sedation if the child cannot tolerate the scans awake. Genetic testing: There are over 200 types of genetic hearing loss. Contrary to common perception, 75% of newborns or young with hearing loss do not have parents or relatives with hearing loss. The only way to exclude genetic cause is to do an appropriate blood test guided by history. In Singapore, 40% of patients with unknown cause of hearing loss and other body systems normally have a Connexin 26 gene mutation. Knowing the genetic cause guides management over a lifetime, as there may be associated eye, kidney, heart, or thyroid problems. It also suggests the progression and prognosis of hearing loss, besides helping families interested in determining the chances of hearing loss in future offspring. Topical ear drops, oral medications, temporary cotton stents can help eliminate ear wax, and infectious, traumatic causes. Gentle ear cleaning and culture sensitivity of infection fluids, removal of wax and foreign bodies under light microscopic visualization and fine instrumentation. Non general anesthetic (GA) clinic procedures to help release pus or fluid from the middle ear in adults, or insertion of grommet tubes. 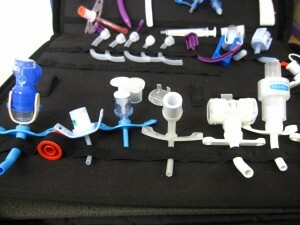 Under GA (day surgery) – To release fluid or insert grommet tubes for glue ears – To repair perforated ear drums – To reconstruct or replace with simple prostheses for malformed or eroded ear bones. – For outer ear auricle reconstruction: choices include a prosthetic ear, Medpore (artificial graft) or patient’s own rib graft in the first stage, followed by the second stage with split skin graft from the abdomen and superficial temporal artery revascularisation. 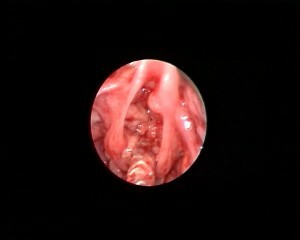 Anterior nose can be examined with speculum and good headlight. 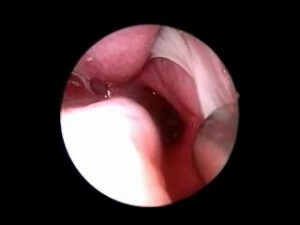 Posterior nose and postnasal space would require flexible pediatric sized nasoendoscopy after local anaesthetic nose spray. Blood tests to exclude systemic causes. Rhinosinusitis can result from acute or chronic nose passages inflammation, infection, polyps, anatomical nose and sinus structure abnormalities. It is worsened by unmanaged allergies. Less frequently, polyps of the nose are possible even in children, with increased risk in cystic fibrosis or immune-compromised cases. Untreated allergies increase the risk of sinusitis, chronic cough and asthma. Rhinosinusitis can also be aggravated by immune problems, poor general health, lack of important vitamins or minerals. Allergy and rhinosinusitis cause discomfort and obstruct breathing, disturbing sleep. Rhinosinusitis may require long term medications and antibiotics, with complication risks to eye, brain and teeth, especially in immunocompromised patients. A child with eye swelling associated with rhinosinusitis needs to be examined emergently, to exclude orbital abscesses from the sinusitis. Avoidance of the offending allergen tested positive reduces the need for over-dependence on medication. Over avoidance of suspected food allergens without testing may impair dietary planning and proper nutrition for growing children. Medication (oral antihistamines, nasal steroid sprays) is usually needed initially and can be tailed down to maintenance or as needed doses longer term. Sublingual drops or oral tablet immunotherapy- this offers a chance for long term cure, desensitizing the body to the allergens, instead of just treating the symptoms arising from the allergen attacking the body. Functional Endoscopic Sinus Surgery (FESS) guided by special image-guidance system (IGS) CT scan protocol, precisely angled microdebriders and endoscopic micro-instruments allows for precise removal of diseased polyps, bone septations. Inflamed mucosa and mucopus/ fungal balls. This can be done without any external incisions, going through the nose. This real-time tracking of the anatomy and precision of instruments reduce risk to the eyes, base of skull, vessels and allow a more complete removal of disease. Balloon Sinuplasty helps in cases where there is very limited sinus disease, and may be of some help to identify sinus openings in complex cases in older children. Inferior turbinates can be chronically hypertrophied from inflammation, allergic rhinitis or structural. 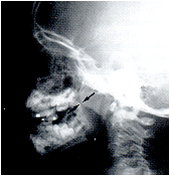 The nose bone in the centre can be crooked from birth, a normal growth variation, or due to trauma. These block the breathing, increase snoring and obstructive sleep apnea, and predisposes one to rhinosinusitis. Examination under good headlight with speculum. 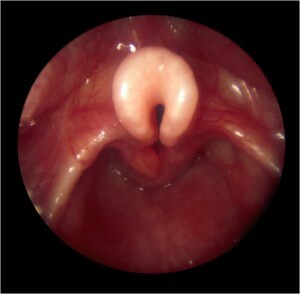 Flexible nasoendoscopy required for more detailed and posterior nose examination. Tumors can be non-cancerous like polyps, inverted papilloma, angiofibroma. Some tumors are cancerous, located in the nose, sinuses or further back in the nasopharynx. Even young children can have tumors like aggressive rhabdomyosarcomas, and the first presentation of angiofibromas are usually nose bleeds in teenage males. Even non-cancerous tumors can erode important surrounding structures, and affect the eye, teeth and cause bleeding or block breathing. Cancerous tumors benefit from early detection and treatment. Nasopharyngeal carcinoma is the 6th most common cancer in Singapore, but less common in children compared to our adults. 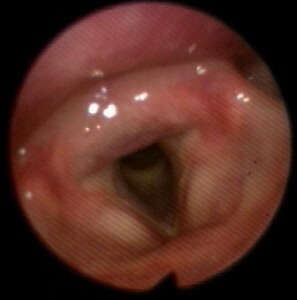 Examination under good headlight with speculum and flexible nasoendoscopy. Biopsy of the tumor for histopathology in the clinic or under sedation. 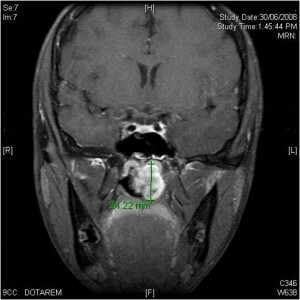 Radiology examinations to determine extent and spread of tumor. 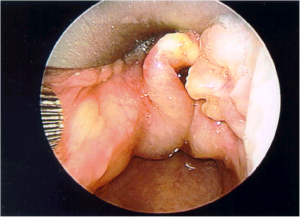 Depending on the histology, local excision via endoscopic method or open excision may be needed. Nowadays, Image Guided Systems (IGS) for endoscopic surgery offers increased safety and completeness of tumor clearance. For cancerous tumors, chemotherapy and radiotherapy referrals may be needed.